In this episode, Dr. Reese talks to Grissel who went from 16 meds to ZERO! In this emotional story, we hear how this mother of 7 had to miss family events because she was isolated in a dark room from horrible migraine attacks. We also hear about her brain surgery and how she went back n forth to her Doctors for her Lupus. In this episode, Kevin talks to Sissi who couldn't walk or use the bathroom from a sudden case of Transverse Myelitis. In this emotional interview, her sister joins us to help tell the story which includes fibromyalgia, chronic swelling and constipation that had Sissi bed ridden and scared for her life. In this episode, Kevin W. Reese interviews Amber, who's shocked doctor took her off her meds after suffering from high blood pressure for 7 years! 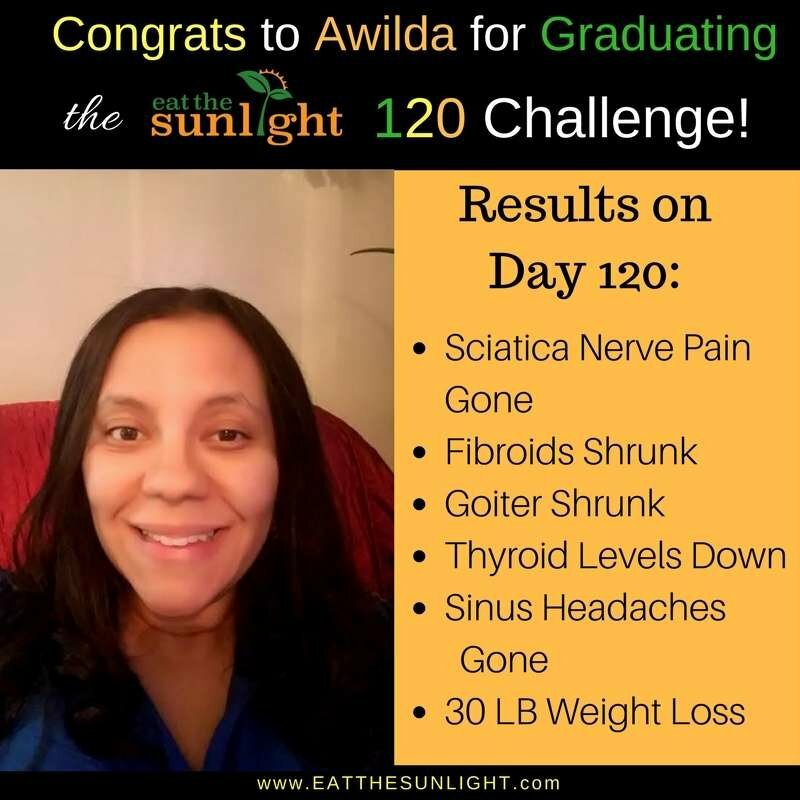 She also beat migraines, tender lumps, stomach pains & more. In this episode, Kevin talks with Cateja who lived with sciatica nerve pain for 7 years not knowing when a flare up would sideline her life. 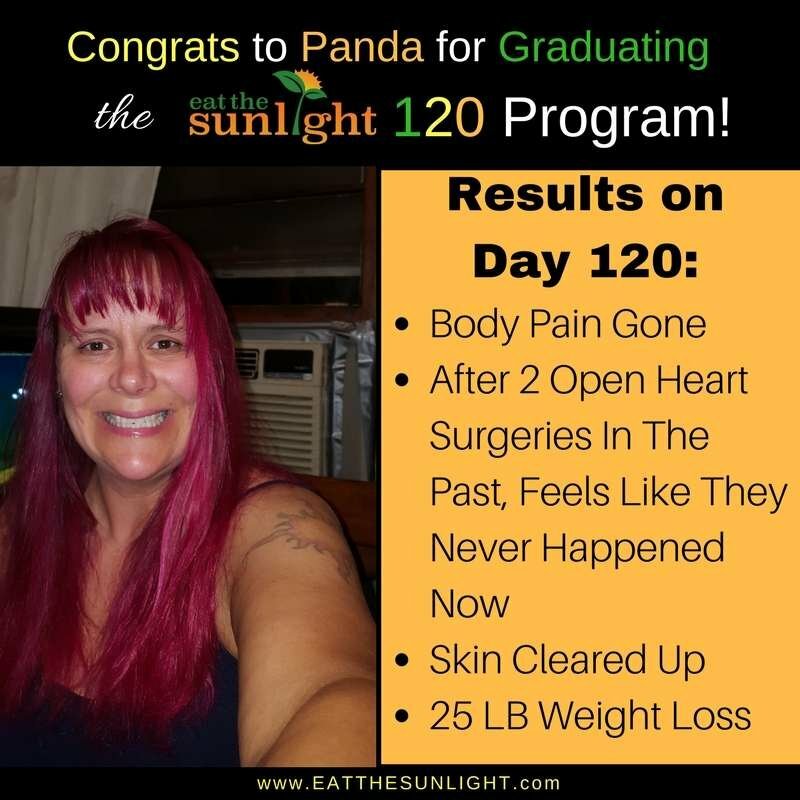 After falling off the ETS120 course, she came back and the 2nd time was the charm as her sciatica pain disappeared on day 80! In this episode, Kevin talks to Samantha who's Eczema was so harsh her hands would get infected. But when the doctor only treated her symptoms with steroid cream, she became suspicious. 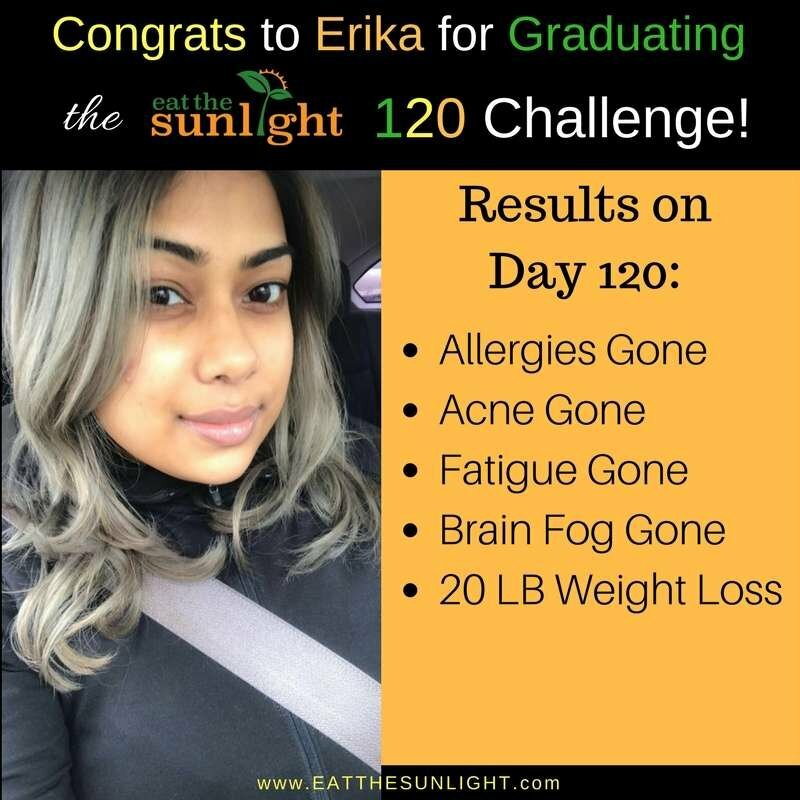 As a bartender, she also struggled with coffee addiction, alcohol and a fast paced lifestyle, until she did the ETS120 program. In this episode, Kevin talks to Eilyn who's life of lupus, diabetes, psoriasis, IBS and horrible RA pain kept her from going out and being productive. In this interview she details her struggles, victories and experiences with her skeptic doctors. In this episode, Kevin talks to Lori who's harsh allergy flare ups used to send her to the emergency room as her throat would close up and she couldn't breathe. She also details her painful kidneys stone attacks and the procedures that were done to her. In this episode, Kevin talks to Tara about her horrible stomach cramps that altered her lifestyle and her Triglycerides going down over 100 points! In this episode, Kevin talks to Joann about Colitis ruining her life and how she finally found freedom from it... all while shocking her physician. In this episode, Kevin talks to Danielle who is no longer on asthma inhalers after 30 years! She also has no more eczema outbreaks, IBS pain or allergy flare ups. 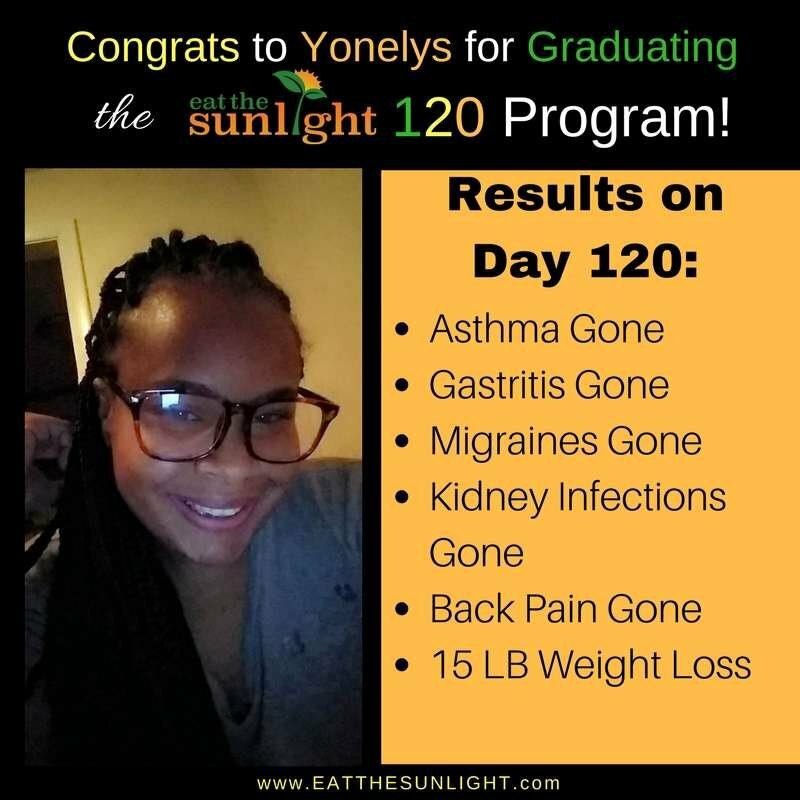 In this episode, Kevin talks to Keysha who suffered from migraines, psoriasis, and fibroids, even as a 20 year veteran in the medical field. In this episode, Kevin W. Reese interviews Kelsey about her severe stomach cramping that sent her to the ER almost every time she had her monthly period. 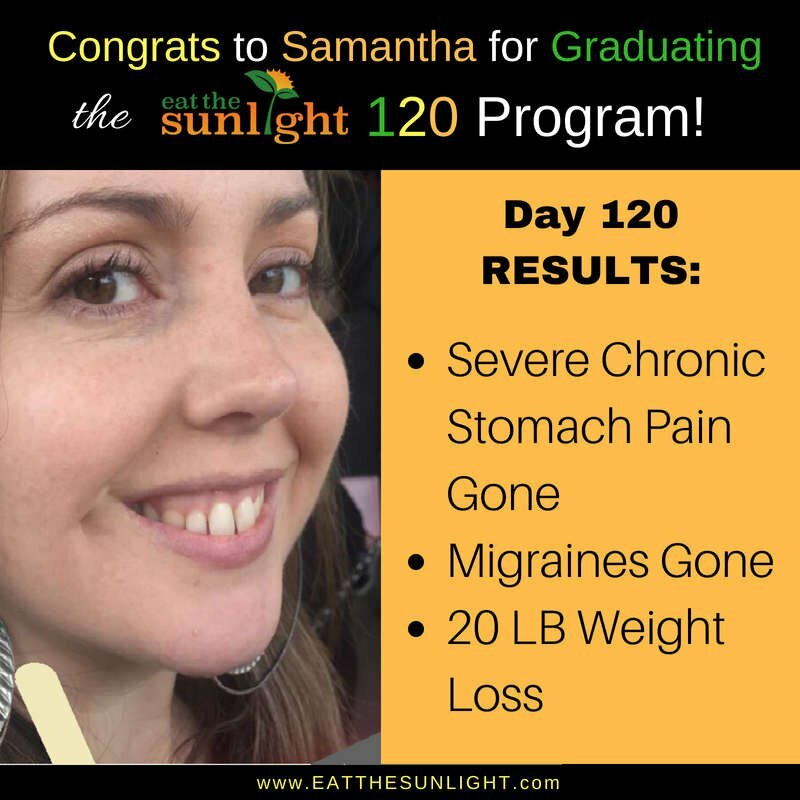 She also goes into detail on her 8 years of migraines, acne and nearly 40 LB weight loss. In this episode, Kevin W. Reese interviews Tina, who suffered from IBS, ulcers, pancreatititis and had a pre cancerous tumor that led to an awful exeperience with the medical field. In this episode, Kevin talks to Paulette, 64, who would wake up choking in the middle of the night from a horrible combo of sleep apnea and acid reflux. 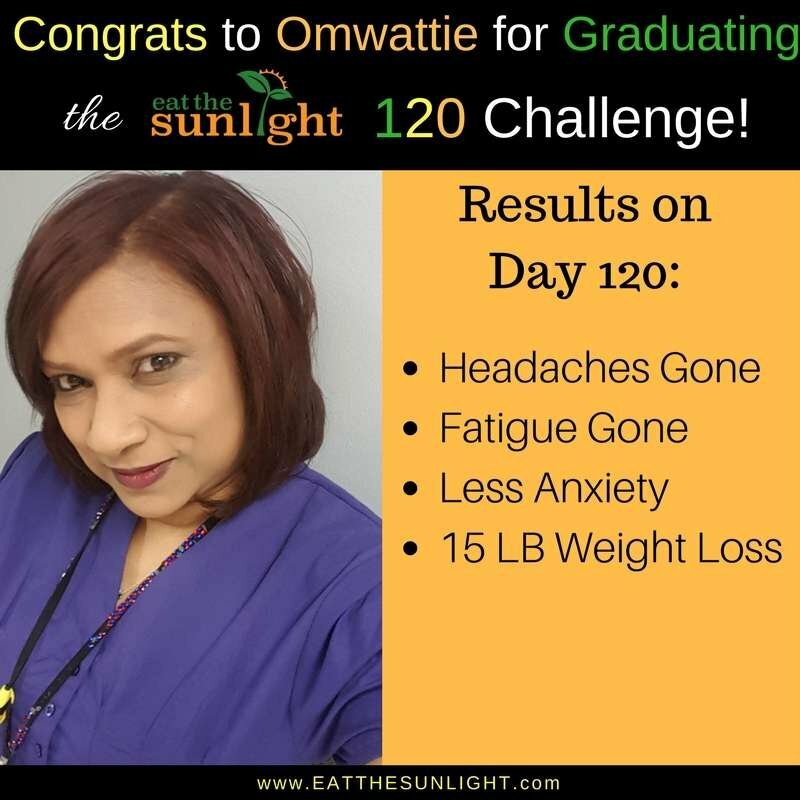 We also dive into her annual bronchitis, hypertension and how everything is now vanished in 120 days. My grandmother has sleep apnea and never has a night where she sleeps for a solid 6 hours. She goes to bed very late and then wakes up a few hrs later and is up for the day. My coworker recommended the Daily Cleanser tea for me, but when I saw there was a sleep-aid on here, I couldn't resist. I've asked my grandmother her results multiple times now and she truly notices a difference when she drinks a cup before bed. She does still wake up in the middle of the night but if she makes herself another cup, she can fall back asleep!! I have NEVER heard of anything working for her like this tea does. I am so thankful for it and will be buying as much of it as my grandma needs. “I started as a damaged, defeated and toxic person whose hair was falling out. I lived off of soda & cigarettes and thought the world revolved around me! But Kevin has such a unique teaching style, and it makes it hard not to listen. Although I resisted at first, I started to understand the teachings and began applying them. I stopped drinking soda. I stopped smoking. I lost weight. And my hair is growing back! The biggest thing that I have learned from the program is that gratitude changes everything! They used to tell me I was “ungrateful”. And now I’m grateful for everything. "I have suffered with High Blood Pressure and Gout for a number of years requiring me to take several different medications daily. 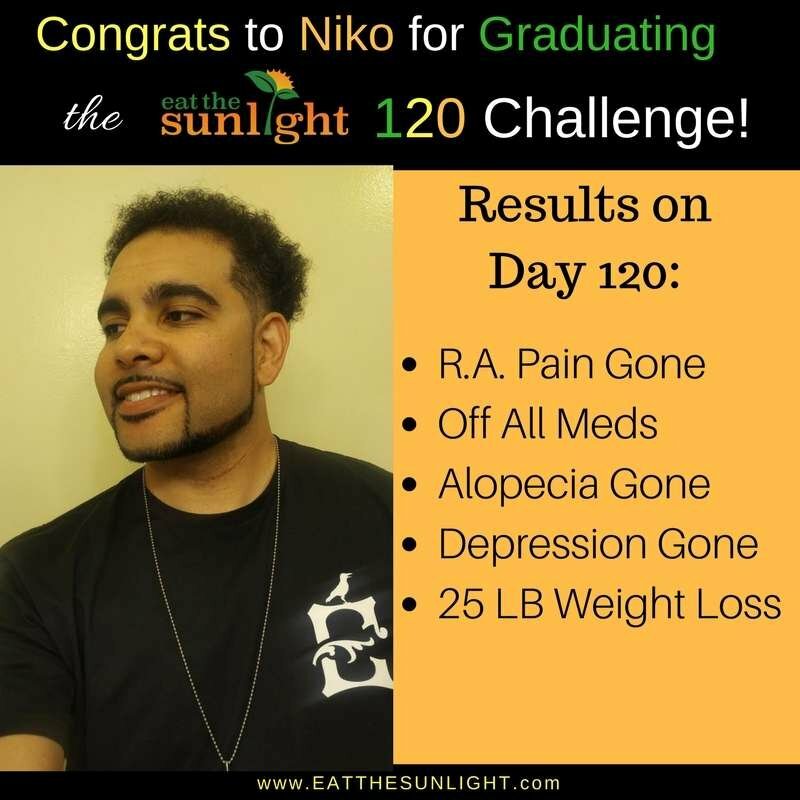 On December 16, 2014 I left the doctor's office slightly depressed because even with the medication I was on my Blood pressure was still elevated at 151/102 to the point he increased my dosage. I purchased ‘Diet, De-stress, Detox’ right after the Holidays 2014 and read it immediately. I began following the recommendations and cleared out my cabinets & fridge that was full of processed foods etc. 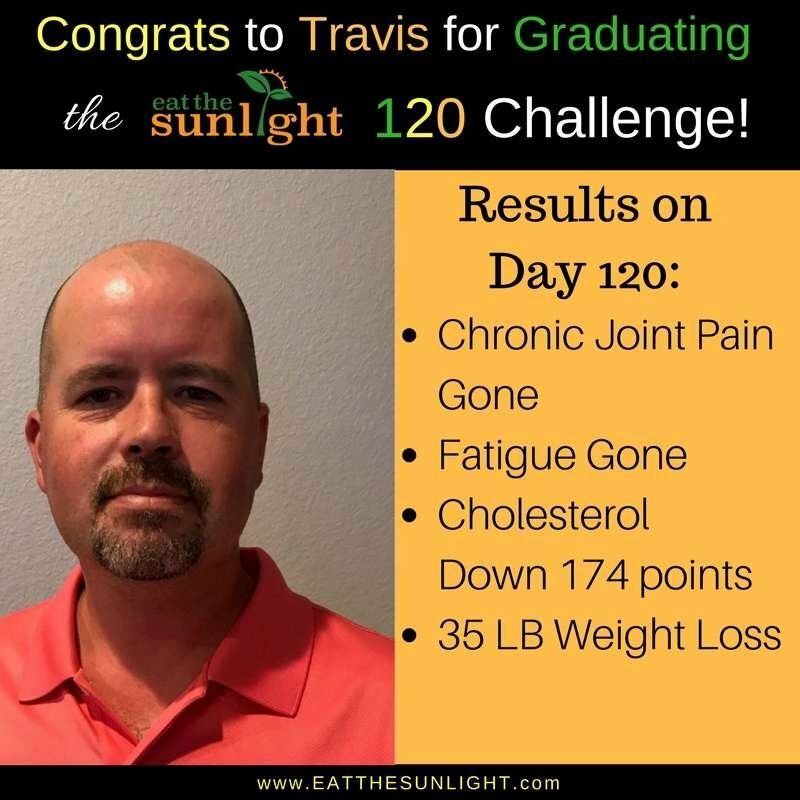 While I was following Kevin's program I returned to the doctor for my 6 week check up and my blood pressure was 126/92. Needless to say I was ecstatic and my doctor said whatever you are doing keep it up. Little does he know I never complied with the increased dosage. I just was Eating the Sunlight as prescribed in Kevin's book. I also want to mention that in that period of time I lost 25 pounds. This book and Kevin came into my life at the absolute right time. Kevin, thank you for changing your life and helping others to do the same." “This book could not have come out at a more appropriate time in my life. I have been down the path of seeing medical doctors and they just come up completely clueless. I am so tired of being poked and prodded for nothing. This book is so informative and it teaches us that our bodies have a natural way of healing themselves if we would just allow that to happen by listening to our bodies and giving them proper nutrients instead of consuming so many horrible processed foods/chemicals. The author goes into great detail as to how our bodies function and how we can help ourselves if we heed the warning signs our bodies are telling us. My favorite part about Kevin W Reese is that he is so hilarious. I am a very visual learner and for all of you out there who learn visually you are going to love this book. He breaks things down and describes them in a way that our minds can truly grab hold of." "Our cars come with an instruction manual, appliances come with instructions. Electronics and cameras come with instructional DVD’s. EVERYTHING has a DVD, an insert, a pamphlet, instructions, diagrams, SOMETHING. Our bodies do not come with "How To" instructions, so we go through life blindly abusing our life force, our temple. Kevin W. Reese gave me the instruction manual for my body at a Sunlight Seminar. The good thing, I can reverse conditions and heal myself, I just needed the directions. Now I feel enlightened, I understand how truly amazing my body really is. Thanks to Kevin, I know what I need to do to keep it functioning properly at its peak."